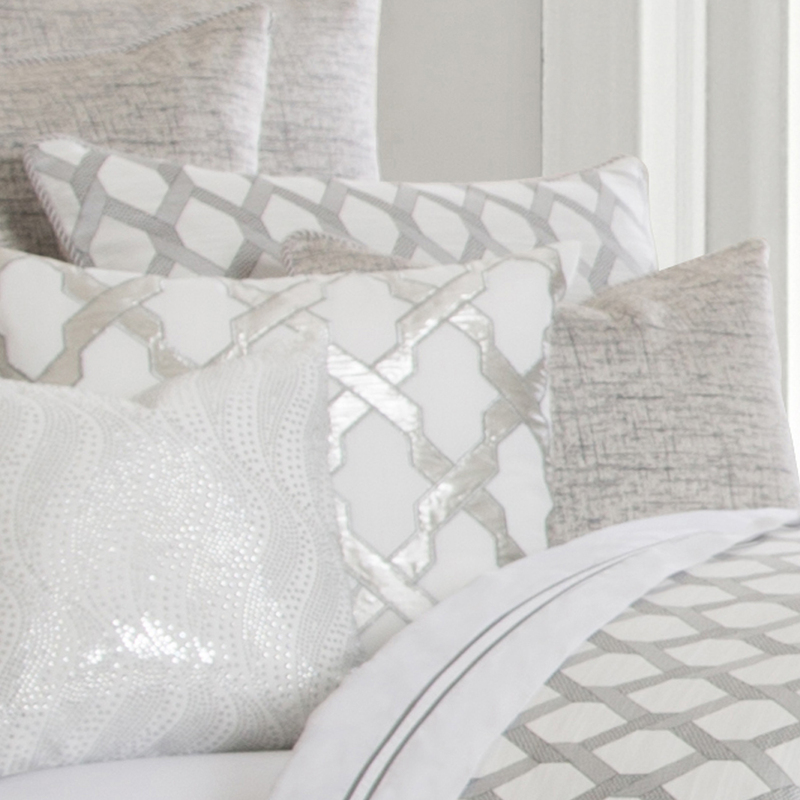 A beautiful bedding set that offers a soft silvery gray color palette and shimmering accents as featured in the unique swirl rhinestone pattern and silver applique accent pillow. 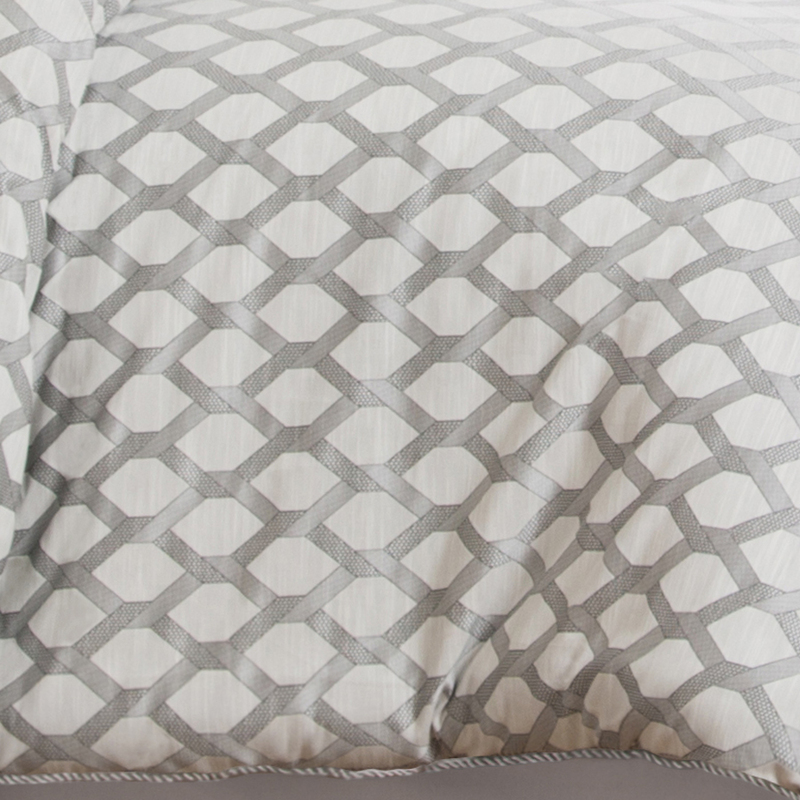 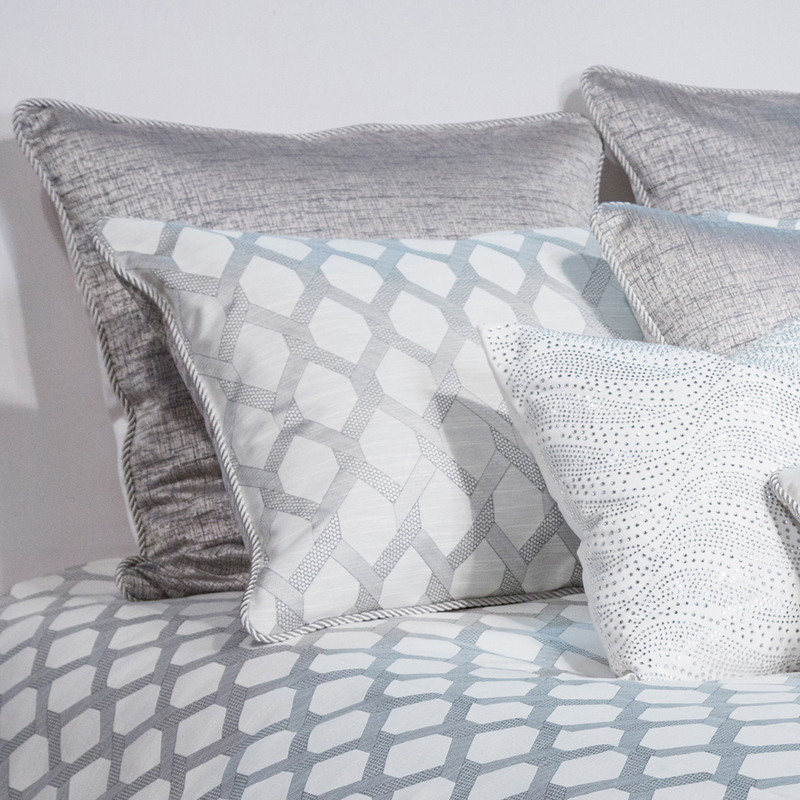 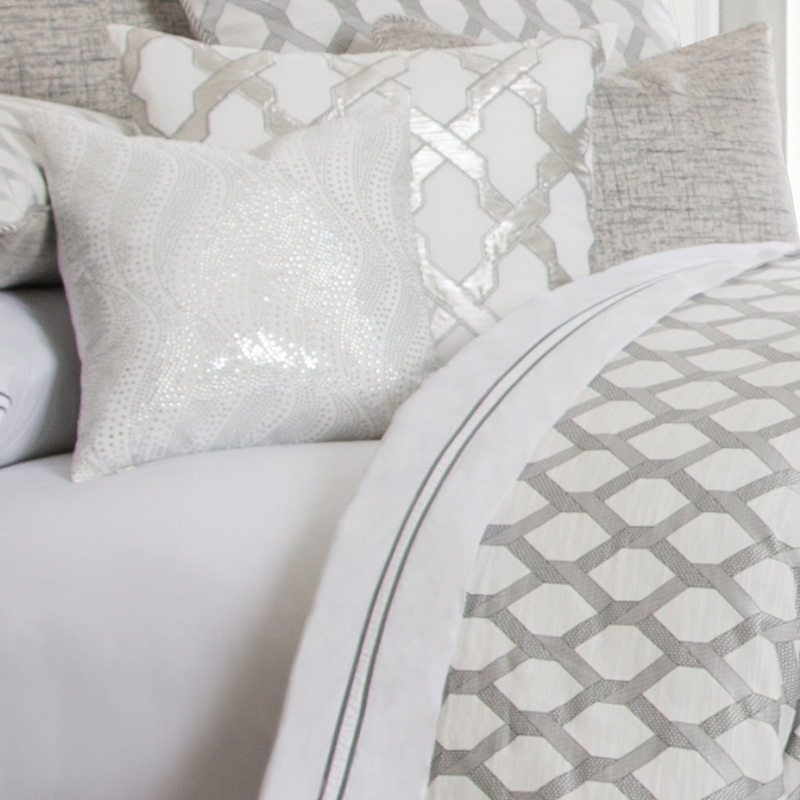 The comforter and pillow shams fabric features a crisp lattice design for a modern styling that pairs elegantly with the textured gray Euro shams. 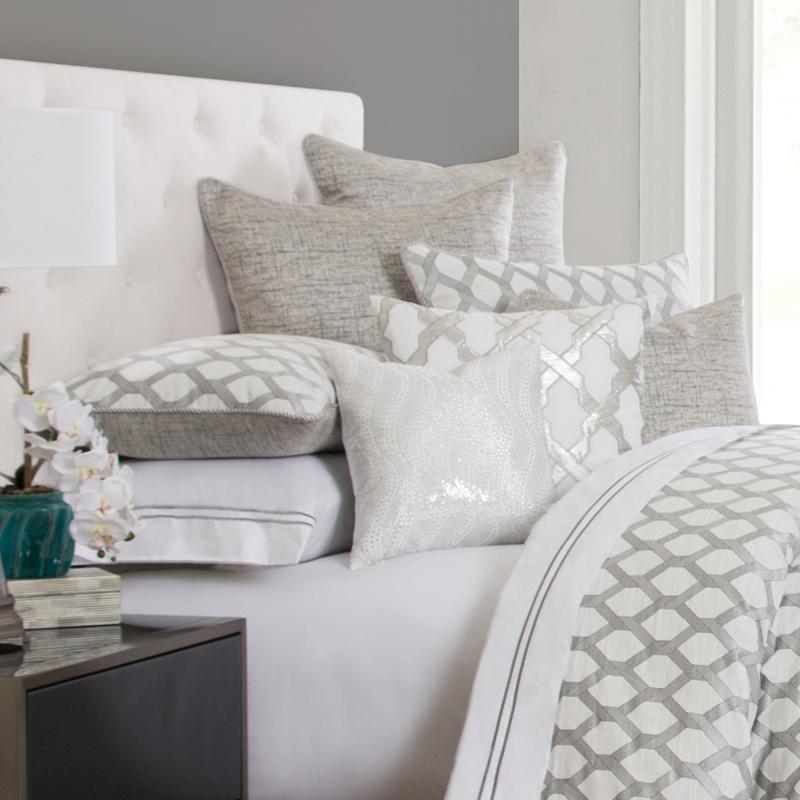 The Newport brings a sophistication to your bedroom and will blend in with multitude of decor styles. 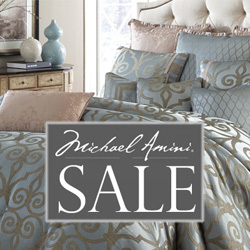 All Michael Amini Signature Series bedding components are reversible including the comforters. 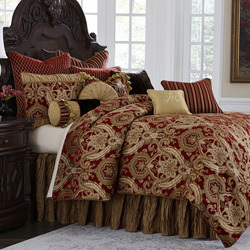 Use of multiple trims and fabrics to create a custom, designer look. 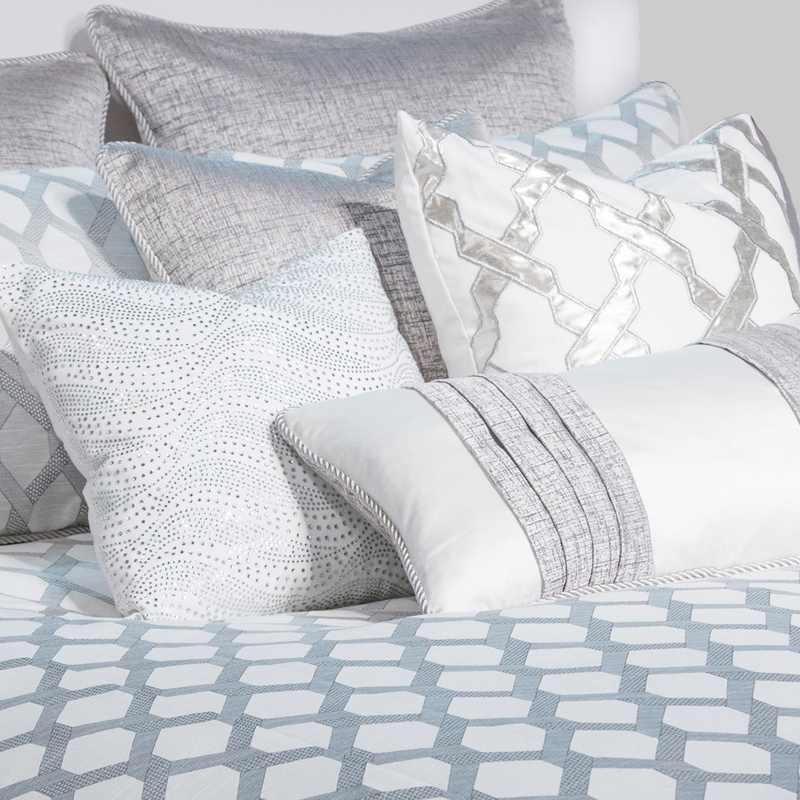 Decorative pillows have feather inserts with removable covers. 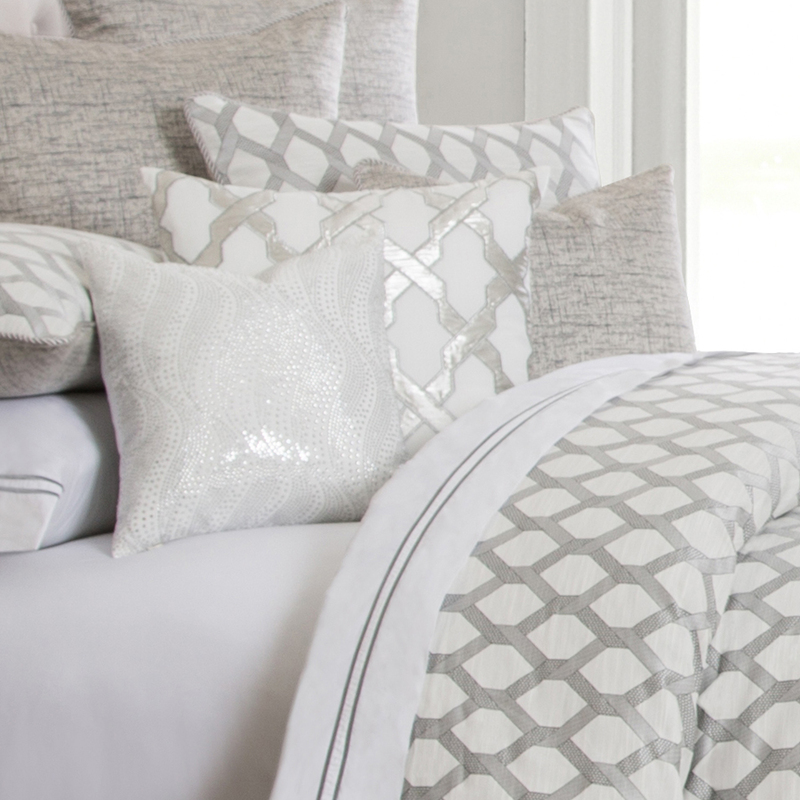 The Newport bedding collection is an exclusive Michael Amini Signature Design by AICO. 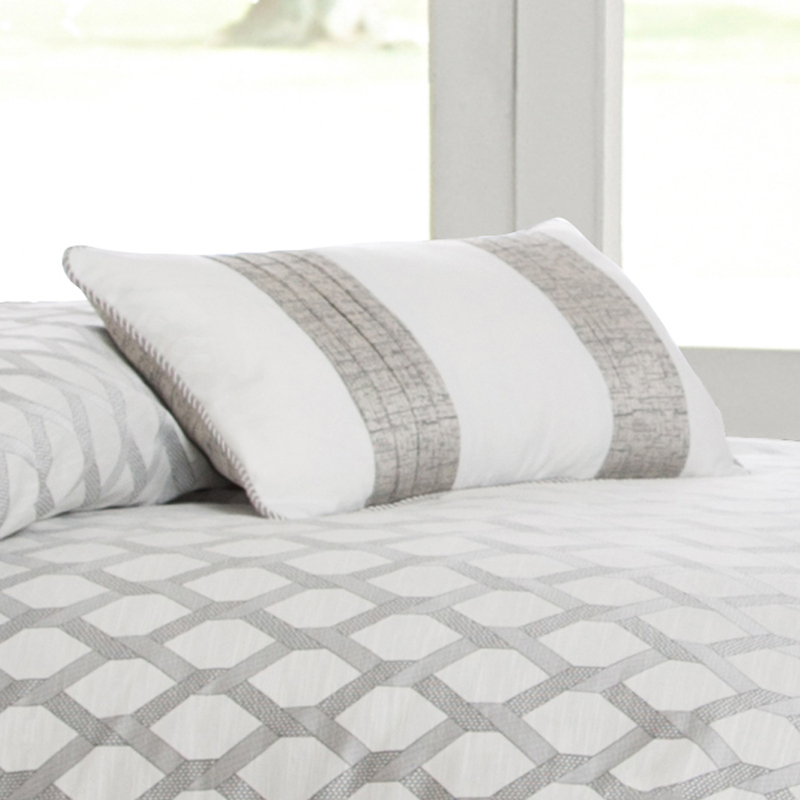 • The Michael Amini Newport is considered a special order item.